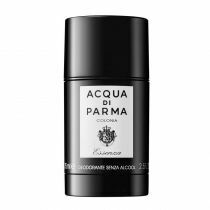 Acqua di Parma Colonia Essenza is a perfume dedicated to fans of Colonia. This fragrance was first created in 1916, and is a timeless classic. 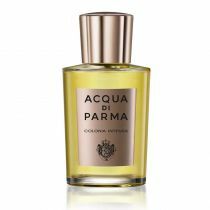 Acqua di Parma creates Colonia Essenza Eau de Cologne. A return to the origins. A perfect alchemy of universalism and Italian roots. A true cult item dedicated to all connoisseurs and fans of Colonia, created in 1916 and since then a timeless classic. Colonia Essenza reinterprets and enhances these values, and becomes its purest expression. A continous olfactory reference, punctuated with surprising innovations. A fragrance that embodies all the emotions of Colonia and yet is unique and unexpected. 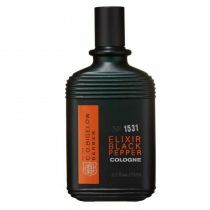 The most precious natural ingredients for a cologne with an assertive personality. Fresh notes of classical Italian citrus, aromatic notes of rosemary, accompanied by a delicate flowery combination of rose, jasmine, and lily of the valley, and a soft but perceptible touch of clove. A perfect finish ensured by a vibrant woody note, enriched with pure, strong, and intense patchouli. Finally, soft white moss and warm amber notes for a round and enhanced character. 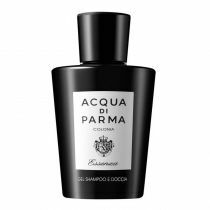 This exclusive unisex perfume from Acqua Di Parma is ideal for both men and women. All Acqua di Parma products are hand made in Italy by skilled master craftsmen. Refined. Elegant. Stylish. Acqua di Parma symbolizes the best of the Italian lifestyle: A passion for beauty, an eye for detail, and the contemporary interpretation of luxury. Alcohol Denat., Water, Fragrance, Limonene, Hydroxycitronellal, Linalool, Butyl Methoxydibenzoylmethane, Ethylhexyl Methoxycinnamate, Benzyl Salicylate, Citral, Ethylhexyl Salicylate, Coumarin, Eugenol, Alpha-Isomethyl Ionone, BHT, Geraniol, Benzyl Benzoate, Amyl Cinnamal, Farnesol, Citronellol.